Capcom has announced it will be bringing a handful of its retro games based on the series from Disney’s beloved late ’80s-early ’90s afternoon lineup to modern systems. The package is called The Disney Afternoon Collection, and it contains six NES games: DuckTales, DuckTales 2, Chip ‘N Dale Rescue Rangers, Chip ‘N Dale Rescue Rangers 2, DarkWing Duck, and TaleSpin. Development is being handled by Digital Eclipse, the veteran studio behind excellent rerelease projects such as Mega Man Legacy Collection. It’ll also include bonus modes, like a time attack and boss rush for each game, as well as a digital museum full of production art and music. 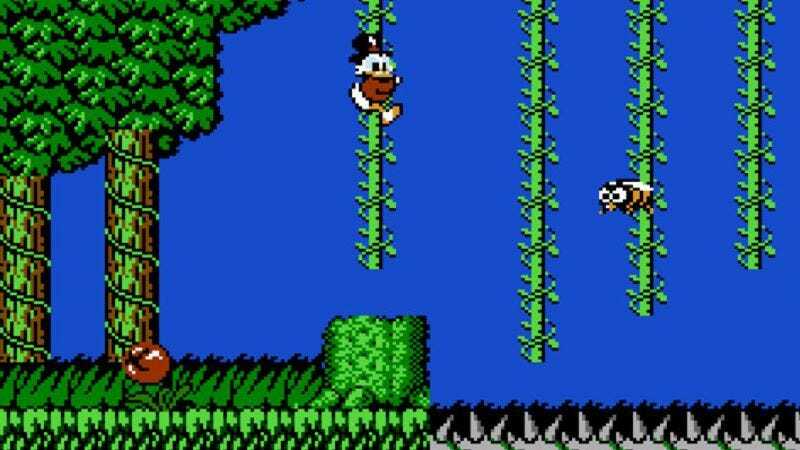 Of the selected games, DuckTales is the obvious highlight. It’s a bonafide NES classic, and its sequel, while not quite as good, is a notoriously rare late-era NES release. The rest might not have DuckTales’ legacy, they’re nothing to sneeze at. It might be hard to remember, but there was a time when games based on TV shows and movies could actually be good—if they were made by Capcom, anyway. The Disney Afternoon Collection is set to release April 18 for $20 on PC, PlayStation 4, and Xbox One.